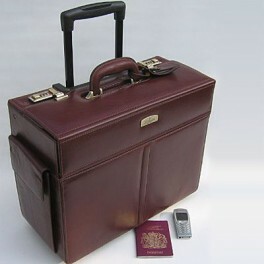 Exlclusive Designer Leather Pilot bags and leather briefcase. custom designs. Quality bulk leather laptop bags. 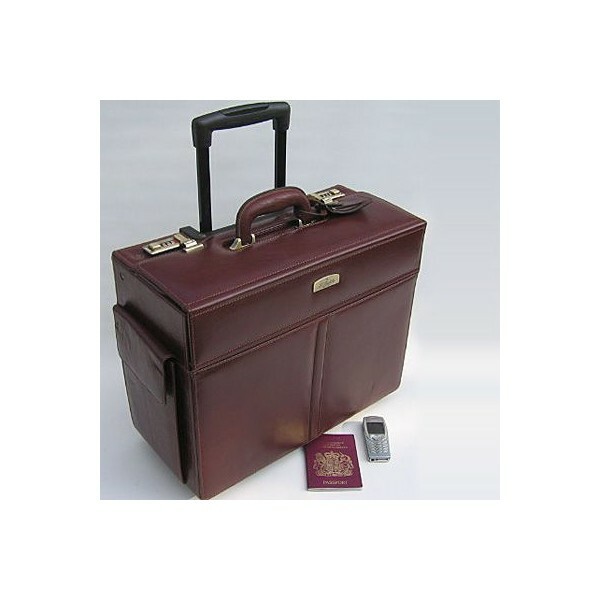 This is a good solid full size pilot case, with wheels, made in top quality leather-look koskin. It meets cabin size regulations on scheduled airlines.